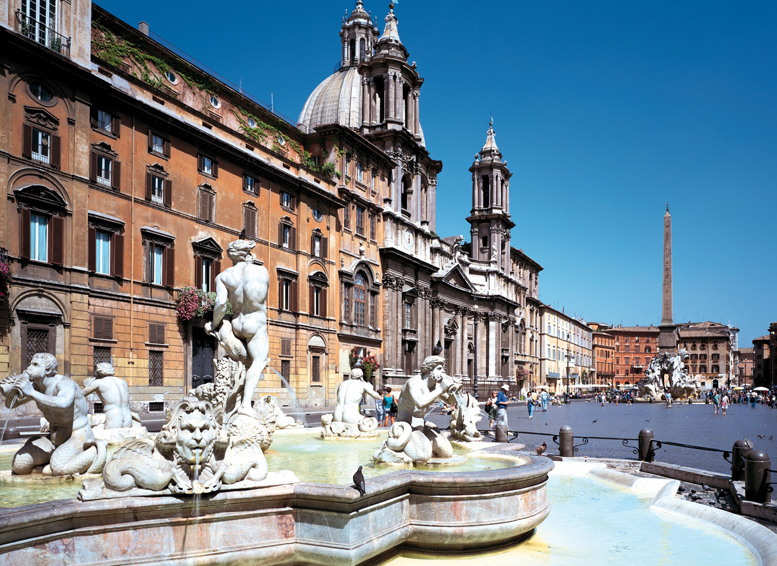 Meet at international airport and take the flight to Rome, the old Roman empire’s capital city. At arrival, the guide welcomes you to Italy and drives you to the restaurant for dinner. Transfer to the hotel and overnight staying in Rome. After the breakfast in hotel, start the visit with the Vatican City, the famous “state in the state”, heart of the Roman Catholic Church: Saint Peter’s Basilica, named after Jesus’ oldest apostle Saint Peter. Was built by great artists of the Renaissance like Michelangelo, Bramante and Bernini. Saint Peter’s Square, masterpiece of Baroque art, surrounded by its huge colonnade, imposing grandeur. In the afternoon visit Venice Square, the gathering place of the important festivals in Italy, where you can admire the “Monument to the unknown soldier” or Vittoriano, a monument built in honour of Victor Emmanuel, the first king of unified Italy. The Spanish Square, on the Trinità dei Monti Square, designed by Bernini, one of the fathers of Baroque. The Trevi Fountain, built on 1730，ended on 1762， another great example of the Baroque style, showing Poseidon obtaining Victory. Dinner and transfer to the hotel, overnight staying in Rome. After breakfast in the hotel, visit the Colloseum, or Flavian Amphitheatre, whose construction started on 72 A.D. and was completed on 80 A.D.，a well preserved model of ancient Italian architecture, considered one of the greatest works of Roman architecture. The Triumphal Arch, between the Colosseum and the Palatine Hill, erected on 312 A.D. by the Roman Senate to commemorate Constantine’s victory over Maxentius at the Battle of Milvian Bridge. After lunch, departure to Galileo’s hometown Pisa. Upon arrival, visit the Square of Miracles in the city centre, the essence of Pisa, included on 1987 in the “World Heritage List” by UNESCO as a cultural heritage. The Cathedral Santa Maria Assunta (St. Mary of the Assumption), built from 1063 and 1125，where – according to the legend - the Virgin Maria went up to heaven. 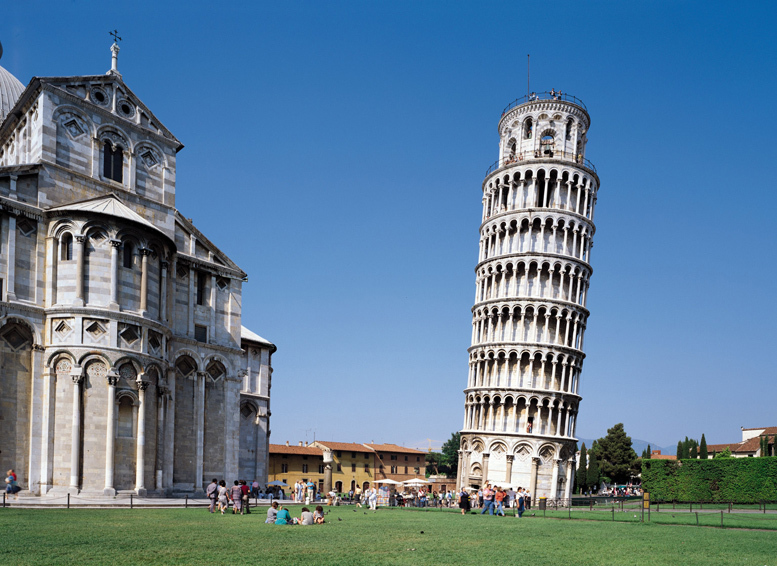 The Leaning Tower of Pisa, the world-famous scenic spot and historic building, pride of Pisan citizens，attracting an incredibly large number of tourists. 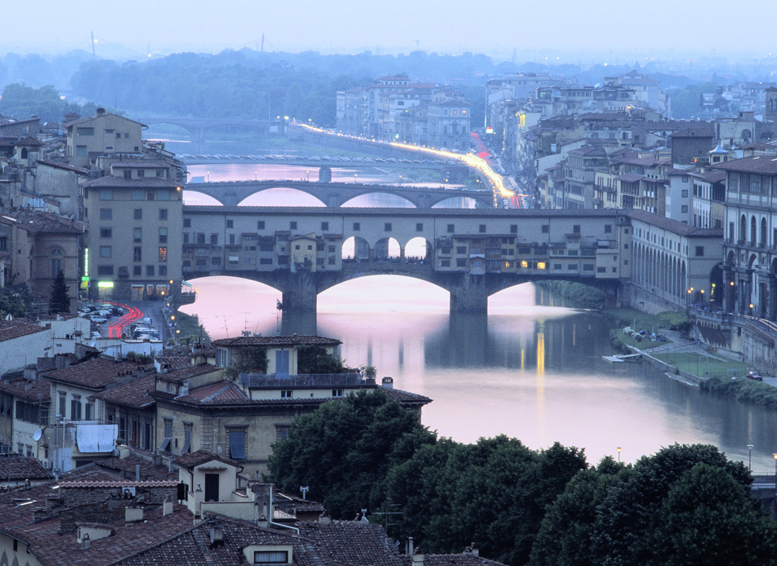 Continue to Florence. Dinner, transfer to the hotel and overnight staying in Florence. 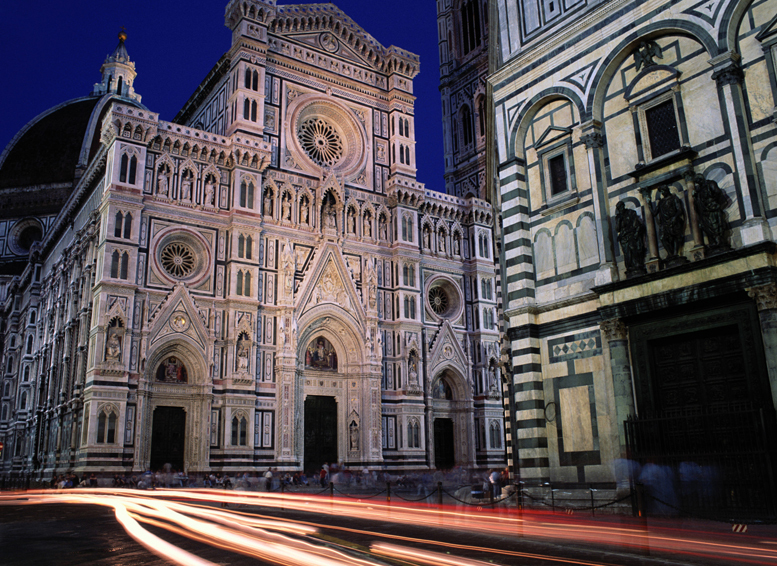 After breakfast in the hotel, start the visit of Florence, birthplace of Renaissance: the Cathedral of Saint Mary of the Flower， the city’s most prominent church, is the best of all constructions in Florence with the largest brick dome ever constructed. Giotto’s Bell Tower, part of the set of buildings that make up the cathedral in the Duomo Square，is one of the showpieces of the Florentine Gothic architecture, built between 1334 and 1337 and designed by “Europe’s father ” painter and architect Giotto. Dante’s house, the small three-storey common building where on May 29 1265 the great Poet had his birth, is nowadays Dante’s Memorial, showing in each store a different period of his adventurous life. The Galleria dell’Accademia is the first academy of art in Europe and the oldest Academy of fine Arts in the world, housing the sculpture the David as well as many other masterpieces in Michelangelo’s collection. Transfer to Venice. Dinner, transfer to the hotel and overnight staying in Venice. After breakfast in the hotel, start the visit of Venice, the world’s most famous city on water. The Grand Canal, one of the major water-traffic corridors in the city，dividing Venice in two parts. Ca’ d’Oro the famous Gothic style golden palace decorated with gold, built between 1420 and 1440，is the most beautiful building in Venice. St. Mark’s Square, the famous square in the heart of the city，with its special atmosphere, incomparable to any other square in the world. 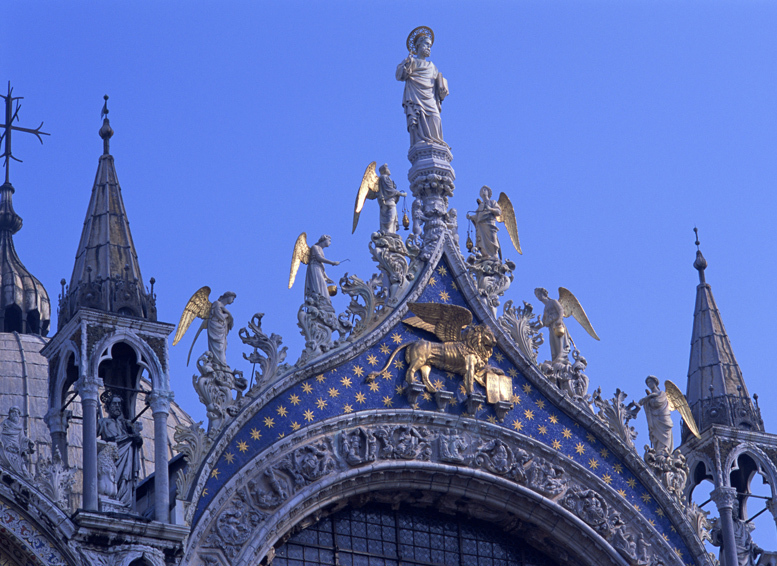 St Mark’s Basilica, the brilliant symbol of Venice, one of the most famous churches in Italy. The Clock Tower, built in 88 years and finished in 1173， with its 98,6 meters of height, is also the symbol of the city. The famous Bridge of Sighs is a bridge made of white marble, built in 1603, connected the New Prison to the Police interrogation rooms in the Doge’s Palace. A local legend says that lovers will be granted eternal love and bliss if they kiss on a gondola at sunset under this bridge. Afternoon departure to Juliet’s hometown, Verona. Verona is famous for its Roman amphitheatre, the Arena located in the city's largest square, the Piazza Bra. completed around 30 A.D., it is an example of ancient Roman architecture, is the third largest stone theatre in Italy after Rome's Colosseum and the arena at Capua. Visit the city centre and Juliet’s House：a medieval courtyard building, close to Piazza delle Erbe, the central square often packed with tourists, and the Tomb of Juliet, in a beautiful spot surrounded by flowers. Transfer to Milan. Dinner and overnight staying in Milan. 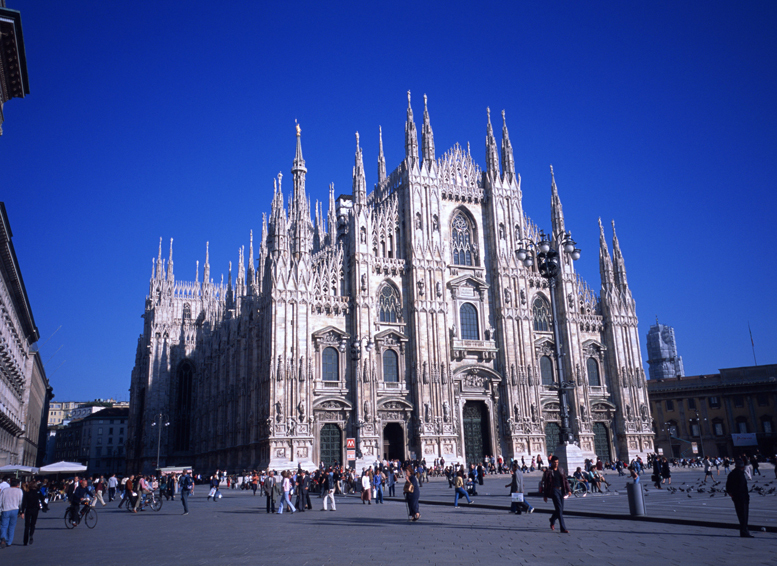 After breakfast in the hotel, start the visit of Milan, the capital of fashion: the Duomo Cathedral, the world's second largest Gothic cathedral and symbol of the city. The Scala Theatre, the biggest theatre in Italy, temple of world opera. Vittorio Emmanuel II Gallery, one of the most beautiful promenades in Europe, called the “Milan Salon”. The Sforza Castle, in the city centre, is one of Milan's most majestic non-religious buildings from the Renaissance. The Peace Arch, built on 1807，to commemorate the victory of the Napoleonic expedition. The Monument to the Five Days, on the homonymous square, dedicated to the people of Milan who died in the rebellion during Austrians’ occupation known as “the Cinque Giornate”(18 - 22 March 1848). Free time for shopping and strolling around the area. Dinner and overnight staying in Milan. After breakfast in the hotel, transfer to the airport and departure.